Mercedes is pushing itself into new areas by way of opening limited time pop-up shops for new folks to see the magic behind the brand. 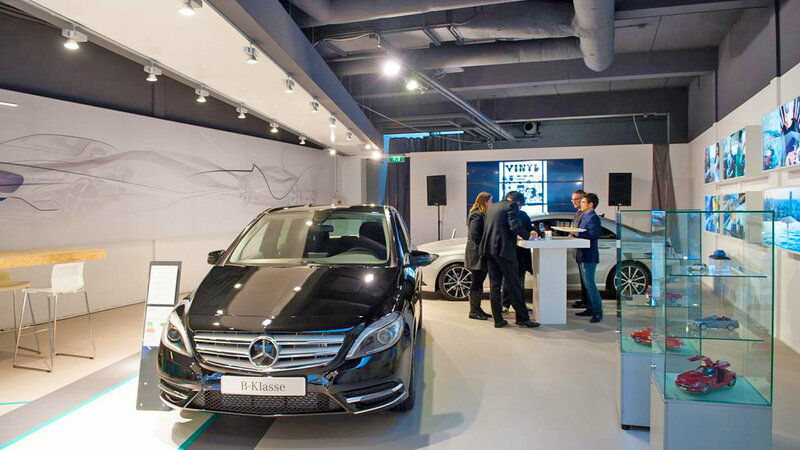 In the coming year, Mercedes-Benz will be opening up more pop-up shops across the world as the brand looks for new ways to engage customers. This is because MB knows that picking a car goes way beyond grabbing folks at dealerships in order to get them behind the wheel. So, what in the world is a pop-up store you ask? Let's start off with some jargon. have you ever heard the terms temporary retail, flash retailing, or pop-up shop? They are all one and the same where space is taken up by a brand on a limited time basis to engage the public. 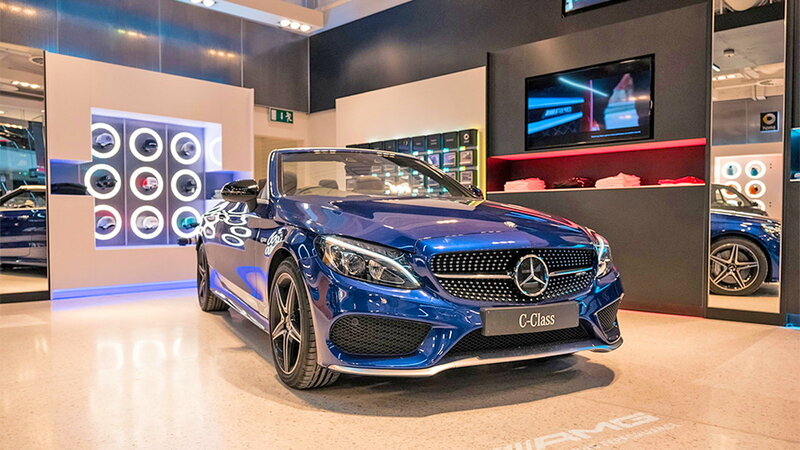 Last year, Mercedes toyed with pop-up shops in Atlanta and Miami that stepped away from traditional retail themes in order to focus on just showing off products. 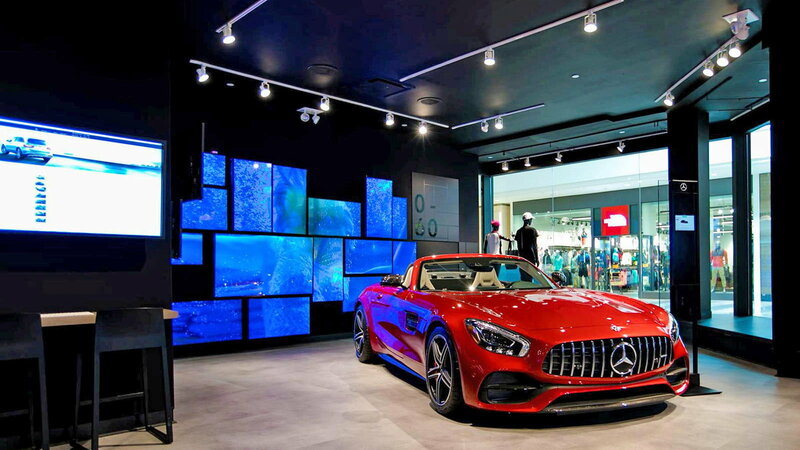 Mercedes, this year, is concentrating on doing way more of these temporary shops that are "focused on new product launches" according to MB USA CEO Dietmar Exler. These shops will look sort of like automotive Apple stores that you see in the mall with visually appealing minimalist layouts. "It's just about gathering information in a more contemporary space," said Jeff Aiosa, who is also the Mercedes brand representative for the National Automobile Dealers Association. >>Join the conversation about MB Pop Up Shops and they will result in conquering new buyers right here in MBWorld. 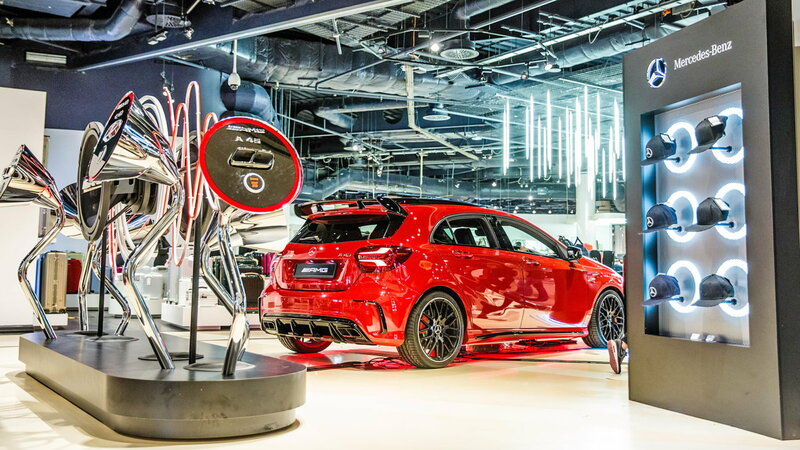 The new A-Class could be the main focus in the next slew of showrooms in an effort to hook a younger demographic. Tesla has been using this model effectively with showrooms across the US where mall goers can come to look at a vehicle and be sold on the merits of the product instead of having a salesman hover over their shoulders. The employees of these shops will collect email addresses from potential customers in order to forward them to dealerships. "I'm not getting heartburn as long as everything is going through the dealer network," Aiosa said. "This isn't the manufacturer competing against the dealers." Mercedes hasn't settled on specific locations for these shops just yet but you can bet that they will be in swanky locales. "We want to be careful in getting in the right locations," Exler said. "We wouldn't want to go into a mall that's 30 miles out of city center." "We are seeing an appreciable number of people who had not previously considered the brand, but who bought a Mercedes following a visit to the brand stores," a company spokeswoman said. 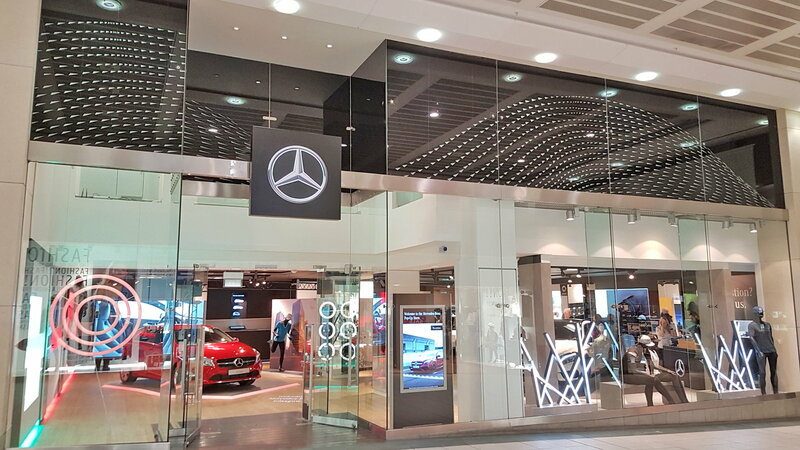 The shops typically have mall shoppers walking to see a couple of vehicles on display sometimes including an AMG GT. There will also be Mercedes-Benz branded accessories and a chance to take a 3D VR ride in a vehicle in what has been dubbed MBUX. At the Atlanta location last year, attendees had the chance to talk shop with Exler who spent time at the store. "I would just go up there and say, 'Hello, I'm from Mercedes. How do you like it here?'" So why temporary shops instead of long-term situations like the ones that Porsche has set up in luxury shopping areas? Exler says that while options are open that "at the current time, we are not thinking about putting full-time accessory stores throughout the U.S. We have the accessory stores in all our dealerships, and I think that that is a very good solution for us."